The Book that Made America: How the Bible Formed Our Nation comprehensively documents, with joy, America’s deep roots in the Bible of the Christian faith. From our first civil compacts and the New England Primer textbook, to the declaration of every state constitution and the declaration of the United States Supreme Court’s Trinity decision of 1892, America cries out that its traditions have resulted from an abiding faith in the God of the Holy Bible. 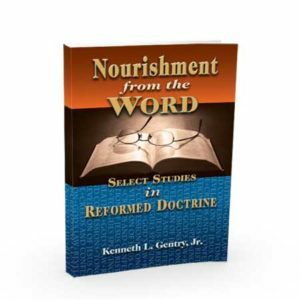 Dr. Newcombe has published twenty one books, including fourteen with well-known pastor Dr. D. James Kennedy. Recently President Barak Obama, while on a trip abroad and without giving the matter sufficient thought, casually declared that the United States is not a Christian nation. If the President had been a little more analytical, and especially if he’d read the remarkable new book you now hold in your hands, in all probability he would never have made such a statement. 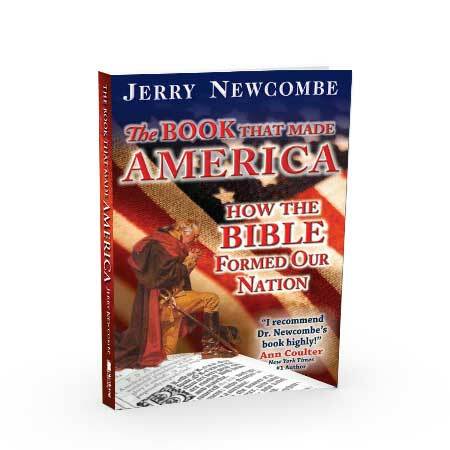 For page after page, from the beginning to the end, The Book that Made America by the gifted and scholarly Dr. Jerry Newcombe tells us America was born a Christian nation and has been one ever since. This book begins by exploring America’s Christian roots with the Bible as the country’s basic textbook, the Bible’s law and covenant illustrated in the lives of the Pilgrims and the Mayflower Compact, becoming our guide to individual self-government, structured constitutionalism, and a free market. If you turn all the way back to this book’s Appendix, what do you discover? The United States Supreme Court made it official: America Is a Christian Nation! No matter what books you now own about our Christian history, I encourage you to get this one! – for an adult Sunday School or Teen Sunday School, for your pastor, or simply for your own edification. Become a more knowledgeable Christian citizen! After you learn about the significance of the Pilgrims, come visit their home in Plymouth. Say that America is a Christian nation and you’ll be brought up on hate crime charges – or at least thought an ignoramus. But what are the facts of history? The Book That Made America demonstrates that there once was a Book even more integral to this nation than Al Gore’s Earth in the Balance. I recommend Dr. Newcombe’s book highly! The Book That Made America is a most welcome addition to the growing literature that documents the foundational and pivotal role that the Bible played in the founding of our nation and the forming of our government. Dr. Jerry Newcombe combines accurate scholarship and careful analysis with engaging writing. This arsenal of historic wisdom from our Judeo-Christian heritage should be in your library. If you have funds to buy only one book on this topic, this is the one! Historical revisionism is alive and well in our nation’s classrooms and in the media. So what has been the Bible’s role in American history? It certainly had a profound impact on the founding of this country as well as in the framing of the government. And where did we go astray as a nation? How can we return to our Biblical roots? Jerry Newcombe answers these and many other questions in The Book That Made America. Read this book to learn the history our nation has forgotten. Jerry Newcombe has created a masterpiece of apologetics that skillfully portrays the power of Scripture in the transformation of the American wilderness into the world’s first Christian constitutional republic. His writing is profound and well documented, yet easy to read. 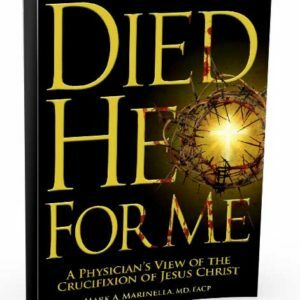 This great book will become a timeless educational resource that catapults the centrality of Christ and His Word back to the heart of our civilization where it belongs. 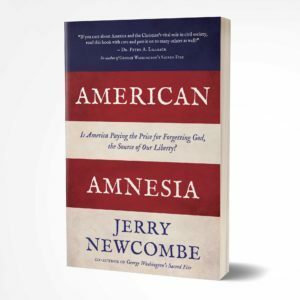 In The Book That Made America, Jerry Newcombe quickly cuts through the fog of agenda driven rhetoric to give a brilliant and unbiased examination of what made America unique among the nations of the world. Jerry’s commanding knowledge of history provides clear and undeniable evidence that the Bible was a key formative influence in America’s culture, economy, and form of government. Jerry Newcombe has furnished Christian believers with a major weapon for the moral and spiritual civil war we are waging for the soul of America. He carefully provides us in a readable and engaging way with quotable evidence of the Christian roots of our nation. This book should be in the home of every American patriot. Jerry Newcombe does an excellent job in documenting and telling the story that almost all Americans used to know: that is, without the Bible there would be no America as we know it. The Bible was the central most important influence in the birth, growth, and development of this nation. 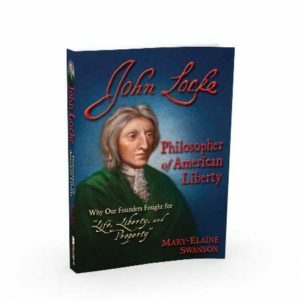 The principles in that book produced the most free, prosperous, just, and virtuous nation in history. As we have forgotten this truth, we have gradually lost our liberties. To preserve this great nation, Americans must know the ideas in The Book That Made America. With the skill of a journalist experienced at interviewing others, Jerry Newcombe reveals the one book that built America. He digs deep into the documents, individuals, and spirit of America and lets the evidence speak for itself. Understanding the development of ideas from the Reformation through the planting of America, as well as admitting the faults that had to be repaired, Jerry has done a service for Americans by bringing the Bible back into historical focus at a time when it is most needed. Have you ever found yourself trying to defend the Christian heritage of our nation but not being able come up with the facts to support your convictions? Do your children understand that America is the greatest superpower in the world because she has historically taken the stance of being one nation under God? What will become of America if we continue to remove God from our country’s future? These questions are answered within the 277 pages of The Book that Made America by Jerry Newcombe. Newcombe’s work is divided into four parts. Part One focuses on the unique role the Bible played in creating America, highlights what the Bible has to say about government, and also contains a fifty-question quiz to test your knowledge of our nation’s Christian heritage. A twenty-page section gives detailed answers to each of the questions in the quiz. This quiz with answers would be a phenomenal resource in its own right. If you discussed just one question each day, I am confident that your child would have a greater knowledge of our country’s Christian heritage than most adults have. Part Two explores the relationship between the Bible and the settling of America, the Bible and education, and the Bible and the documents that were the forerunners to the Constitution. Having already taught our children about the settling of America, the colonists, the Puritans, and the Mayflower Compact, I certainly wish in hindsight that I had had The Book that Made America as a supplemental resource. We all know that the Puritans came to America to escape the religious tyranny of the Church of England. However, I was unaware that as “Jamestown was settled, it was to be called Jamestown – a place where England was advanced. However, they didn’t put up a picture of the King. They put up an emblem of the King of Kings, the cross of Jesus Christ. That cross is a symbol of the Christian faith, and they were recognizing they were advancing the cause of the gospel when they arrived in the New World.” This is just one of many facts that show the settlers’ true intent to create a Christian nation. Part Three of Newcomb’s work highlights the Bible’s impact on the lives of our Founding Fathers. Facts about our Founding Fathers abound in almost any history textbook. However, Newcombe includes biographical sketches and quotations from these great men that truly show their intent in creating a Christian nation. I must commend the author’s thoroughness. Not only does he address the great ways that our Founding Fathers sought to uplift God in the establishment of our nation, but he unabashedly deals with their shortcomings. Libertarians have repeatedly thrown up the fact that Thomas Jefferson was a slave owner. They smile with a sense of having blown a “hole” in the Christian foundation of our nation. Newcombe closes Part Three by addressing this huge issue of slavery and other shortcomings of the Founding Fathers. He makes no excuse for them aside from the fact that, like you and I, the Founding Fathers were all sinners saved by grace. These men were incredible for the things that they did accomplish, but we must not put them on such a pedestal as being equal with our Savior, Jesus Christ. 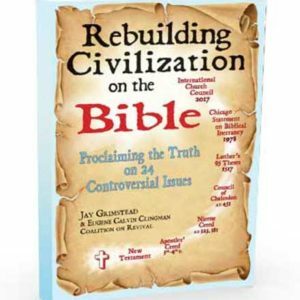 The final section of the book discusses the Bible and the current American experience. Newcombe asks, “Where did we go wrong?” When did America betray her roots and start removing God from modern life, and what will be the result? Can America continue to thrive as a superpower without a renewed commitment to the God that has so richly blessed us? Mr. Newcombe is very honest and, in our family’s opinion, Biblically accurate in stating that there are no guarantees that God will see fit to allow America to continue to exist into the future. We are in an emergency situation. The plea of this final chapter of the text is for us to fall on our knees before God and to pray for a regeneration of the hearts and souls of the people of our nation. Just as a fish in a fishbowl in your child’s room may sense that there is more out there but never truly understand what an ocean or lake is, our children will never truly comprehend what it means to be One Nation Under God based solely on their experience of what America is today. The Book that Made America shows them the ocean. This $18.95 investment will reap abundant rewards if it helps to ignite a fire within us as we consider what a magnificent Christian nation America was intended to be. Thus declared the United States Supreme Court in Church of the Holy Trinity vs. the United States. Jerry Newcombe has clearly and concisely laid out significant evidence that the founding fathers were predominantly Christian in their worldview. In The Book That Made America: How The Bible Formed Our Nation, Newcombe presents a case for Christianity as the foundation for this great Republic. America’s founding fathers were men of faith. Specifically, they were men of the Christian faith; and not deists, or secularists, as revisionist historians would have us believe. And yet, most Americans do not know the rich spiritual heritage of our nation, to their great loss. Since leaving our Christian heritage, America has fallen into a deplorable state of godlessness; and this can be traced directly to the decisions by our leaders in the past century to leave God out of our lives. In order for America to continue to be a great nation, and a great tool to be used by God in reaching the rest of the world, we need to return to those spiritual roots, to the foundations of our nation, built upon God’s sacred Word, and restore the spiritual legacy our forefathers intended for generations to come. Newcombe lays out the evidence for the Bible’s pivotal role in American history very well. With separate, yet overlapping, sections about how the Bible was influential in not only the settling of America, as well as in the founding of our nation, The Book That Made America cites document after document showing just how important the Scriptures were to the men and women who came, and built, and settled, and established our great nation. One very interesting section of the book is in Part One: The Book That Made America. Jerry Newcombe provides a fifty question quiz about America’s Christian Heritage. He provides the quiz first, and then explains in detail the answers to each question. I am an avid student of American history, and I found several areas where my thinking has been influenced by the revisionism prevalent in our culture today. Newcombe wraps up The Book That Made America with a section dealing with the idea, “Where did we go wrong?” Can we go back to the ideals set by our forefathers? Newcombe suggests that we can, but not without much effort and pain. We have a lot of backtracking to do to get back to the path laid out by the great men and women who founded this nation. Newcombe has done a great job laying out the facts about how the Bible was a critical part of the formation of the United States. This book took a colossal amount of research, as evidenced by his extensive endnotes and sources cited. The Book That Made America is a crucial book for Christians to read. In order for America to stay the course, Christians need just such a wake up call as this. I would suggest that this book be added to the library of every serious student of Christianity and America. Don’t wait. Read The Book That Made America now. Jerry Newcombe takes great pains to disabuse the rest of us of a patently false notion: that America isn’t now and never was a Christian nation. He proves beyond doubt that the United States was conceived along Biblical lines, born in Biblical liberty, and nourished into adolescence on Biblical principles. Only now, some four centuries later, are perceptive Americans seeing the dangers of abandoning their Biblical heritage. Men and women who devoutly believed in the Judeo-Christian God founded America, relied upon Him for guidance and protection, and gave proper thanks to Him for delivering them from their external enemies. But now, in the early 21st century, there are unmistakable signs that America’s external foes sense an opportunity to bring the United States down to their level—and they have good reason for their optimism. As America has become more secularized, it has collectively forgotten where its liberties came from—not the government, the sole function of which is to secure liberty, but from Almighty God. Only He can grant the right to be free; this simple but profound truth drives Statists up the wall. In the past people who would rather see the State control citizens’ lives—for their own good, of course—kept colliding with the Biblical precepts underscored in the Declaration of Independence. Now that secular, politicized, state-run schools have had nearly a century to wean Americans away from the Biblical foundations of America so that this country’s Christian heritage has effectively been largely expunged from history, “the fix” as they say “is in.” Only one generation separates America—or any nation, for that matter—from total ruin, and that generation is always the one now in charge. At the highest levels of government, the ones in charge evince no respect for—but rather show either indifference to or outright contempt for—America’s Judeo-Christian foundations. As Jerry Newcombe proves in The Book That Made America, there’s one text that was not only responsible for birthing and guiding America but also might yet be able to save it in mellow middle age from premature terminal senescence and collapse—no, not The Audacity of Hope—the Bible. We are standing on a threshold. Unless we teach the next generation about our unique heritage, it will be lost in the revisionist mishmash of half-truths and political correctness. In other words, the reason our Christian heritage matters, ultimately, is the freedom to preach the gospel and to live out the Christian faith. Religious freedom is the lynchpin of all other freedoms. Remove religious freedom, and other liberties will soon be taken away as well. The link between the Puritans’ constitutionalism and the American Constitution is no minor point. Their governing documents were political versions of their spiritual covenants. And all of these political compacts and constitutions paved the way for the Constitution …. In short, no Bible, no Puritan covenants. No Puritan covenants, no U.S. Constitution. This is a history lesson most of us have never learned. It is a lesson that America by and large has forgotten. The Bible thus played a critical role in the shaping of America by teaching this concept of covenants, which has been enshrined for all time by the Constitution. This is why the age-old argument from Plato is correct: culture precedes politics. To change the politics, you first have to change the culture. In modern America, we Christians have our work cut out for us, to change the culture. Some Christians may argue that Christ does not call us to change the culture, but just to change lives. That is true in one sense. But it is also true that when Christians authentically live out their faith, it cannot help but impact culture as God intends. I think it is safe to say that until the early part of the twentieth century, most of the justices that served on the Supreme Court were Christians. Certainly, they acknowledged the Christian heritage of the country. Again, there was not a change for the worse until the twentieth century and the acceptance of evolution, and specifically, the idea that since everything evolves, then law, too, should evolve and is not based on fixed principles. Oliver Wendell Holmes is an American icon to some. But I would put him in the hall of shame for being one of the key change agents in applying evolutionary principles to law. While modern Christians have often avoided getting their hands dirty with professions like politics, we have assigned politics to the non-believers—and it’s no wonder we are in this current mess. Anyone who would deny that we are in a culture war does not seem to be very discerning in my opinion. It is possible that America might not last. Nowhere is it decreed that our nation will last forever. Other nations have arisen and failed. We may just continue to implode and become a shell of what we once were. Consider the history of some past civilizations who neglected God. Religion: Does It Belong In Public Schools? Should God, religion, morality and the Bible be restored to this nation’s public schools? The Founding Fathers provide the correct answer. There indeed is a legitimate place for the study of religion in the public schools, because religion—for better or for worse—played an important role in the founding of this nation; the Bible can and should be studied and discussed in American history classes because the Bible helped shape the moral, legal and political philosophies of the Founding Fathers; and the Bible can and should be studied and discussed in literature classes becalisse—apart from theological considerations—the Bible is a great work of literature. 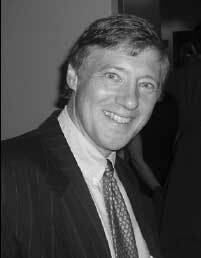 Mr. Gow is a TV and radio commentator and writer who teaches Religion to children at Sacred Heart Catholic Church, Greenville, MS. He has been honored by the Freedoms Foundation for his writings on religious freedom. This interesting and highly Christian statement was somehow shuffled away in the teaching of Ronald Reagan that I received in school. Somehow this information is still lost in the public school rooms – forgotten by those old enough to remember it. I learned so much while reading this book. What a treasure of information! I closed this book more committed to my home school effort with my children. I was also more confident in the curriculum we had chosen to use: McGuffey Primers and the New England Primer (used for recitation and memorization), Rays Arithmetic, and the 1823 Webster’s that uses ample scripture in word definition. Through this book it is clearly evident the impact public education has in reinforcing a person’s world view (whether biblical or not) and their later life decisions. At one time a biblical worldview was central to education. This book is rich with information on our Christian roots and heritage. I believe it would benefit everyone to read it. America sadly enough has a rising generation that is blind to the deep, rich Christian heritage that shaped this nation. 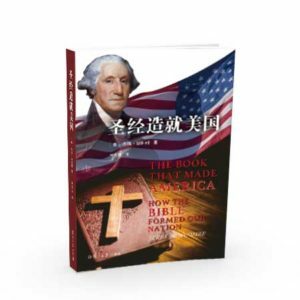 This book will help parents to teach their children the Christian roots of American History so they are better equipped in life. I dare say this is a gem – a Christian home schooler’s dream history resource; and a public school parent’s resource to developing a healthy biblical worldview. Jerry Newcombe, D.Min., of Coral Ridge Ministries is a professional communicator whose research and media productions have been seen by millions. He has helped shape the media output of one of the most influential U.S. Protestant churches in the twentieth century. As senior producer for Coral Ridge Ministries television Dr. Newcombe has produced or co-produced more than fifty documentaries. He is the host of two weekly radio shows. He has been a guest on numerous television and radio talk shows, including Fox News and Politically Incorrect with Bill Maher. He is the author or coauthor of twenty-one books. Dr. Newcombe also holds a Master’s degree in communications from Wheaton College (1983) and a Doctor of Ministry from Knox Theological Seminary (2008). Dr. Newcombe wrote his thesis on the importance of “Preserving Our Christian Heritage” and how pastors and their congregations can pass on that heritage. Dr. Newcombe met his wife Kirsti have two children, Annie and Eric. The Newcombes, residing in South Florida, have co-authored two books together: I’ll Do It Tomorrow and A Way of Escape. South Florida Bible College was the setting last night for a speech by Dr. Jerry Newcombe in which he discussed the findings of his new book entitled The Book That Made America: How the Bible Formed our Nation. I took a day off from work and me and the Mrs attended. (She can’t say that I never take her anywhere :-p) After Dr Newcombe’s speech, he was interviewed more in depth by a gentleman and I saw that the event was being taped. Perhaps this will run on C-SPAN in the near future much like his previous “How Would Jesus Vote?” discussion. Time quickly passed and there was only enough time left to take a few of the questions that audience members had written down before hand on index cards for the interviewer to ask him. Lo and behold, the first question asked was the one I had written down. What luck! I basically asked him if, while researching his book, he came across any information that would lead someone to believe that Thomas Jefferson was more evangelical in his beliefs than the typical deist that he is commonly portrayed as. Dr Newcombe stated that he didnt really know if Jefferson (or Benjamin Franklin for that matter) had actually made statements that they put their faith in salvation in the Blood of Jesus Christ and his sacrifice on Calvary’s cross. He did mention a couple of items though that could give someone pause and wonder if in fact that was the case. First was that Jefferson OK’ed federal monies to be used in missionary efforts among Native American tribes. Secondly, while attending church service at the US Capitol Building (they were held there until about the 1880’s) Jefferson once brought in the Marine Band to play during the service there. Could you imagine if something like that happened nowadays? The ACLU would have a heart-attack! If history and Christianity are interests of yours, I would highly recommend his fine book to anyone who wishes to explore America’s Christian foundations further. Interesting and well researched, it’s a must read for those who are interested in where we as a country have come from and the enormous differences of today when any symbol or reminder of out Christian heritage is slowly being stripped away by our multi-culti, increasingly secular society. It was my pleasure reading your recent publication, The Book that Made America. It is a splendid work, and something that every Christian should read. As a university professor, and one who has dedicated his life as such, I appreciated it when you said, “I believe we have got to lose this notion that the only service you can perform for the Lord is full-time Christian work. . .We need superb university professors.” Too often the church does not say this. No doubt this is why we do not have Christian professors, judges, and politicians. Christians need to get in the trenches. I often use the facts you highlighted when I teach the Reformation, Philosophy of Religion, Ethics, and the Philosophy of Government. A great book! Keep it up! Jerry Newcombe’s book, “The Book That Made America” is the best one ever! It is by far the best book that I received at the Denver Book Seller’s Conference. I’ve read it and re-read it and it is wonderful that you dedicated this to my hero D. James Kennedy. I miss that man every single day. Thanks so much for writing such a great book! Jerry Newcombe’s book, The Book that Made America, is already one of my treasured resources. America wasn’t built on separation of church and state, but on ensuring freedom of religion and supporting the value of citizens having a vibrant faith. Instead of learning from our rich Christian heritage, we are running away from what has made this country. Being reminded of the Supreme Court’s Trinity decision of 1892 that affirmed that America is a Christian nation is inspiring. That decision has never been abrogated. America never forces or nationalizes a particular faith and we are richer for that. But if you ever want a book that documents and honors our Christian underpinnings, this is the book to have in your library. I will refer to it often! Thank you for publishing this fine work. It was my pleasure reading your, The Book That Made America. It is a splendid work and something that every Christian should read. As a university professor, and one who has dedicated his life as such I appreciated it when you said, “I believe we’ve got to lose this notion that the only service you can perform for the Lord is full-time Christian work….We need superb university professors.” Too often the church does not say this. No doubt this is why we do not have Christian professors, judges, and politicians. Christians need to get in the trenches.